Are you staying in the Poipu area of Kauai? If you do not get a vehicle at LIH you can always get one at the Grand Hyatt Resort & Spa in Poipu. 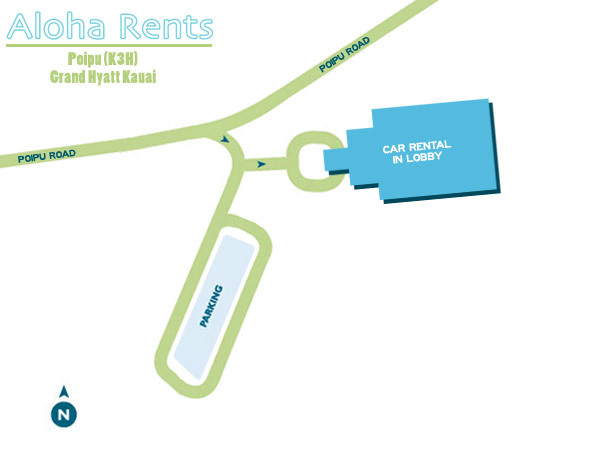 The resort is located at the end of Poipu Road (see map). 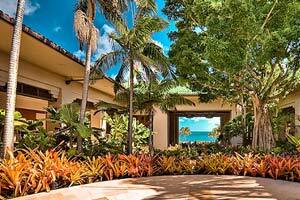 Grand Hyatt Kauai Resort & Spa offers valet parking for $10 per day. Self-parking is always complimentary for resort guests. Go to the lobby of the resort to retrieve your car rental. Their concierge will be happy to assist you with your rental car. Upon completing the paperwork for your rental vehicle you will be directed to your car. Visit our Kauai rates page or get a rental car reservation now.